Many people choose Spring time to get a new puppy. It’s an exciting time with lots to organise. One of the key considerations will always be where your new bundle of joy will sleep. Here’s my take. 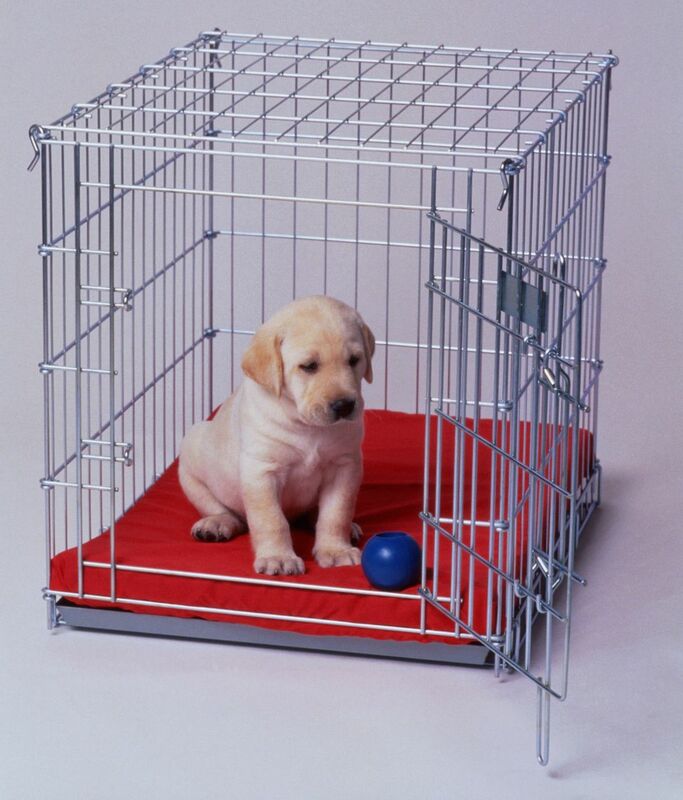 We recommend using a puppy crate in an enclosed, small room. If you start by having him in your bedroom, you are potentially creating a habit that will be difficult and stressful to break later on. Start as you mean to go on. Dont make the mistake of buying a crate too large. It should be big enough for the pup to stand up, turn around and lie down outstretched, but no bigger. If it is, you run the risk of pup going to the end of the crate to relieve himself. He is less likely to do this in a smaller area and it will help develop bladder control. Of course, we have to ensure he empties before going to bed and he is let out every few hours during the night for the first few weeks. 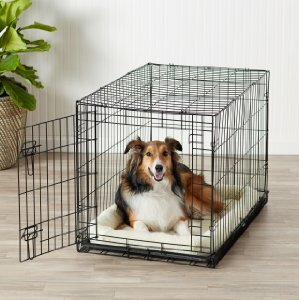 Place the crate in a warm, draft-free area and have a blanket to completely cover the crate at night. 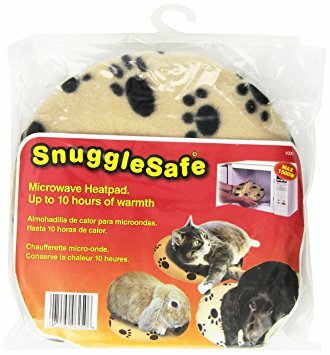 This creates a little warm den, free of any distractions and will add to his sense of security. Keep the crate closed at night until he is house-trained. Apart from helping with toilet training, he will not be able to cause mischief elsewhere in the house! I use a puppy hot pad under his blankets to keep him warm. I leave something safe for him to chew on and I have a radio on a talk channel at very low volume all night. 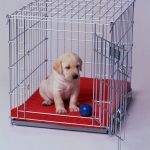 I follow Dima Yeremenko’s methods of helping the pup to associate the crate as a great place to be. Take a look at: https://youtu.be/IallmBXPrVs. Don’t be tempted to respond to the inevitable crying when you put him to bed. I know it’ll be heart-wrenching – it’s a stressful time for pup having just left his Mum and litter mates. But if you respond to his cries, you will only encourage him to cry more. Tough love is required here, so steel yourselves. Go in to him as soon as he stops crying. The message is “if you cry, you don’t get my attention, but if you’re quiet, I’ll be there for you”. In time, he will settle and be perfectly happy in his new den! 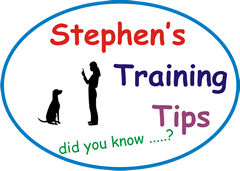 There’s so much more to consider when getting a puppy, but get the sleeping arrangements right and you’ll be a long way towards having a contented pup. It works, I promise! What would you wish for…..? This was the first time I have seen your display and I have to say that the show was a fantastic day for both owners and dogs alike . Not only did you do your brilliant display, but you did all the judging for the dog show too. It was amazing and, along with the other spectators, I was blown away by your performance, with the highlight being Daisy's collar act! Dear Stephen, You were brilliant! It was tough on you to judge every class and run commentary - and THEN do your turn! You and the dogs were very well received, all the folk around me were in awe of you and your girls. Wowed and amused in all the right places. For me it was a chance to see where my piece of the jigsaw might eventually fit into the bigger picture. The show was a great success, largely thanks to you. My husband said that you were the Star of the Show. 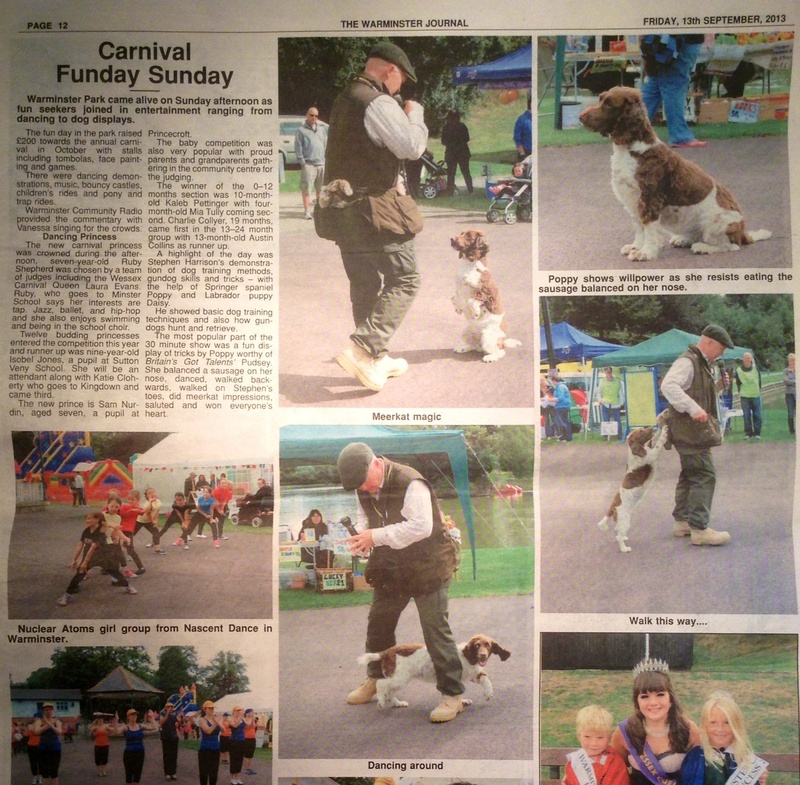 You inspired the Secretary's Grandchildren to do their own Dog show in the arena! I should like to congratulate you on the show that you put on. It was both very entertaining and educational. Perhaps I should praise your dogs more so given the faultless performances they gave. They really are a credit to you and your training methods. I'm very grateful for the fact that after the show you devoted so much time to patiently answering my questions on training. In particular your demonstration on dealing with lead pulling which already is having very positive results. I look forward to seeing your demonstration again and have made a note of the Wessex Country Fair in my diary.